« X: It hurts. Z: So? We will not lose hope in Bahrain. Ali is looking for change, the change Ali believed in is not impossible. And is not diabolical. Ali wanted to give the people the chance to express thier feeling and dreams, to discuss and negotiate, to correct each other mistakes, and to learn to respect each other. That was his project in “BahraininOnline.org” forum more than 10 years ago. Ali Abdulemam is my friend. I know him for years. He loves Bahrain and is willing to participate in developing the country. He is a flying bird, freedom is in his blood, and so do forgiveness. Although he is not a member of any political party, he is a Bahraini citizen with big dreams. Was Ali really spreading the “false news” ? Was he spreading “false news” ? What are they? Who is in charge for the classification of the “false news”? Is “spreading false news” false news ? This should be decides by court. I think! The website is now destroyed, as I heared. So, why to keep Ali in prison? 5 years ago, I was sharing the same prison with Ali for the same reason, plus 6 other accusations. 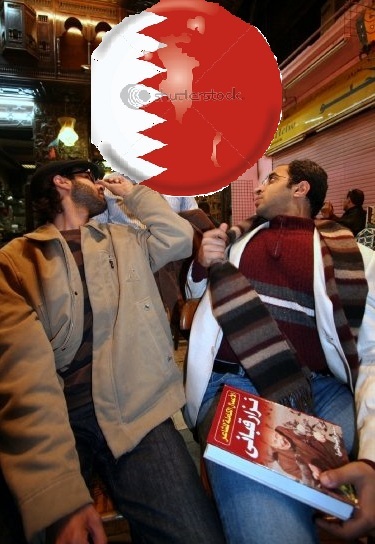 During the investigation, we were asked to prove our loyalty to Bahrain. What a request! Few months before Ali was arrested, he was reading “I will betray my country” , A book by Mohammed Almaghout. Ali agreed with Almaghout that if supporting Liberality is betrayal, then he is a betrayal. If a real parliament is betrayal, then he is a betrayal. This was part of Ali’s rebel personality, which is mixed with his adherence to simplicity. Yes, he loves traditional Iraqi songs. Dare you continue to listen to his voice gravelly for a full minute. But when you look at the harmonical smile on his face, you will accept it. Ali is looking for change. The change Ali believed in is not impossible and is not diabolical. Ali wanted to give the people the chance to express thier feeling and dreams, to discuss and negotiate, to correct each other mistakes and to learn to respect each other. That was his project in “BahraininOnline.org” forum more than 10 years ago. If that project was not successful enough for some of us. Prison should not be the answer. Otherwise, the whole world should be a prison for the human kind for failing to live peacefully and love each other. Please, free Ali Abdulemem. We will not lose hope in Bahrain. Send your appeal to release Ali : http://www.bahrainrights.org/ar/node/ , Oh, the webiste is blocked in Bahrain! Ali was passionate about using the minimum freedom we “USED” to have in Bahrain, and after 10 years he is paying for being passionate. Ali’s kindness has no room in this island. And any person on this island must not to dream. He was with us a night before, in a blink everything changed. and those days everyone my face the same situation! Hussain, thanks for writing this very poignant piece. Those of us who know Ali, know he is one of the most defiant and courageous people around and the international support he is getting is evidence of that. Lets hope all the prisoners are released very soon. Thank you Mujtaba. Ali will be free. Don’t lose hope. Don’t lose hope in Bahrain. We should all unite so Bahrain doesn’t become another Iraq or Afghanistan. Remember, developing ur self = Developing your country. I totally agree. We should not lose hope. This is a main source of power to defend Ali’s right for Freedom.